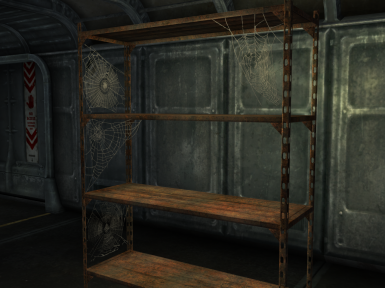 Cob Webs, a resource for Modders. 4 Cob Webs for decorating. My very first attempt at Modding FO3, 10 years ago. Extract from the archive to any folder. Place the Meshes and textures folder in the game Data folder. Use freely in your FO3 and FNV mods only, with credits. Please, keep "Pix" somewhere in the name if you renaming my resources. You MAY NOT use any part of this mod for commercial purposes, including (but not limited to) creating a paid mod. Don't make money out of this, in any way! You MAY use this resource to earn Donation Points.